Updated home conveniently located and within walking distance to park and hospital. Offers all main floor living including large family room (possible 3rd bedroom) and laundry room. The spacious entry foyer will welcome you into this adorable home with updated furnace, central air and most windows. Very nice eat-in kitchen and you’re going to love the nicely landscaped & privacy fenced backyard. Please, send me more information on this property: MLS# PA1203697 – $57,500 – 1709 Center Street, Pekin, IL 61554. 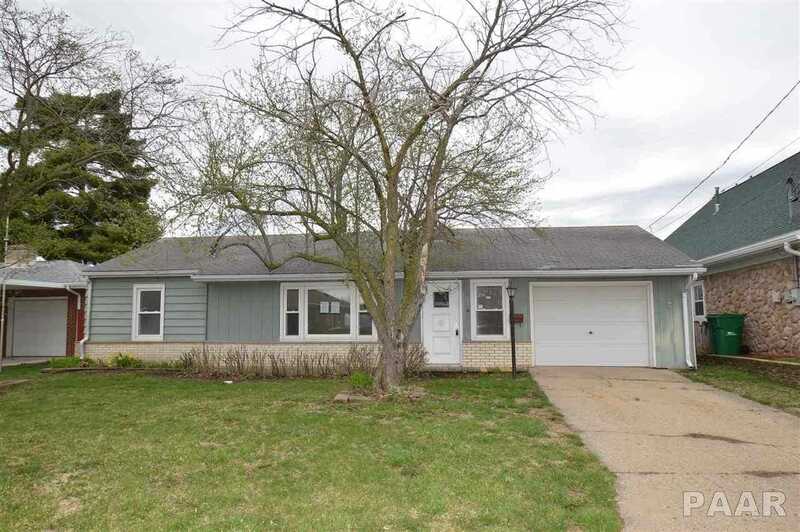 I would like to schedule a showing appointment for this property: MLS# PA1203697 – $57,500 – 1709 Center Street, Pekin, IL 61554.